Now that I’ve started running Legend of the Five Rings (L5R) rather than just playing it I’ve been thinking about trying to challenge myself when it comes to GMing by stepping out of my comfort zone. L5R is, from my limited experience with it, the ideal system for doing this in because it can easily throw many of the conventional gaming tropes out the window, replacing the black and white Good vs Evil of Western fantasy with complicated situations that can often boil down to no win scenario’s. The driving force behind this is the code of Bushido, the principles that are meant to guide every samurai but which often come into conflict with one another. Perhaps the best description I’ve heard is that L5R is a game where everybody is trying to be a paladin despite the fact that they’re just normal (and thus flawed) human beings. We’re only two sessions into our campaign but the group has already been placed into a sticky situation, investigating the destruction of a monastery on the (disputed) edge of their territory. I’d say more but I know some of the players occasionally read this plus it wasn’t really the point of this post. The other aspect of my GMing style that I’ve started to reconsider is combat, namely the challenges that I put up in front of the players. Over the years I feel like I’ve worked myself into a position of holding back too much and rarely placing parties into a position where characters are going to die. The logic behind this has always been that I don’t want to kill PCs outside of dramatically appropriate moments but I’m beginning to wonder if by holding back in the combat I’m also preventing the creation of those dramatic moments, the ones where the death of a character forces the group to completely change direction, retreat in a panic or decide that they’re going to abandon their mission to hunt down the bandit group that killed their friend. My second motivation to change is that I want my players to spend a bit more time considering whether they should be getting into a fight. I’ve had some experience with this during a past Firefly campaign. The group, on their way to deliver cargo they’d been smuggling, were ambushed by a small gang who, in an attempt to intimidate the party, drew weapons. Wanting to keep things a little tense I had the players roll initiative, with the three more combat capable characters all beating the gang members. So come the first round the players, assuming they were already in a combat, opened fire and killed or downed almost all of the gang. As I pointed out to the players afterwards they had initiated the combat, fired first then disappeared leaving a number of bodies in a densely populated space port, all because the gang had drawn weapons to try and intimidate them. Not exactly something they could explain away as self defence. So to conclude this rambling post I think I want to achieve two things, more even and challenging combats but also situations where leaping into combat provides consequences and the players need to think more about why they’re fighting, not merely that they an. As always I’d be interested in hearing the solutions other GMs have found for this issue, especially given the deadly reputation of the L5R system. Arcane Game Lore hosts this months RPG blog carnival and asks “Who’s your favourite NPC?”, a question which can be applied to both GMs and players. This isn’t a particularly easy question for me to answer, not because I have too many to chose from but because the majority of my games tend to focus heavily on intra-party issues, with few NPCs that get enough scene time to make a significant impact. Truth be told my NPCs are one of the biggest areas of my GM style I’d like to improve upon, but that’s a post for another time. So after some thinking I’ve come up with two favourites, who made the cut for very different reasons. The first comes from my first Serenity campaign, which was the first campaign where I’d applied a very freeform (but not quite sandbox) approach focused purely on the goals of the PC characters as opposed to a save the world big issue type of campaign with clear aims and objectives. While the scheduling of the game was cursed (and we never did get as far into it as I’d have liked) it stands as one of my favourite campaigns as when it did run everything just slotted into place, including Alex C, a record producer at Blue Nova Records. For the most part Alex was an over the top, flamboyant character who used buzz words and three letter acronyms like they were going out of fashion. The thing is, it was all an act, something which only showed during a few occasional moments with Xoxi, one of the PCs and Alliance intelligence officer who was working at Blue Nova undercover while she dealt with some particularly nasty psychological trauma. We never got far enough into the game for much to be made of Alex and his background but he did manage enough screen time for the hidden side of him to show and demonstrate he was more than first appearances would suggest. 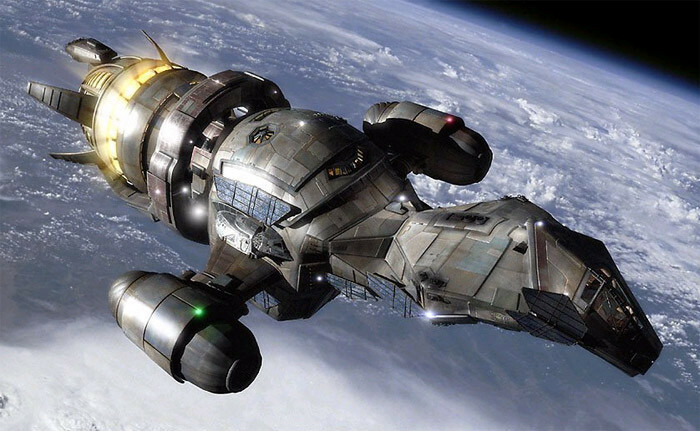 One of the plot threads I had started hinting at was some internal turmoil occurring within Alliance intelligence, triggered as a response to the events of Serenity (the movie). If we’d have continued then Alex would have been central to that, either by turning up dead somehow or by seeking the assistance of the PCs in evading / foiling particular events. Maybe, if I ever run another Serenity game, he’ll show up again though I suspect that may be a while away. My second favourite NPC is a character I’ve mentioned repeatedly in previous posts, as he went on to become a PC and one of the pregen characters for my Nationals Demon Hunters game. Yup, Doyl Levett, caffeinomancer extraordinaire. Doyl started off life as an NPC in my very first Demon Hunters game, with the chapter not only finding him lost in the middle of the Warehouse but with a group of ROUS close behind him. 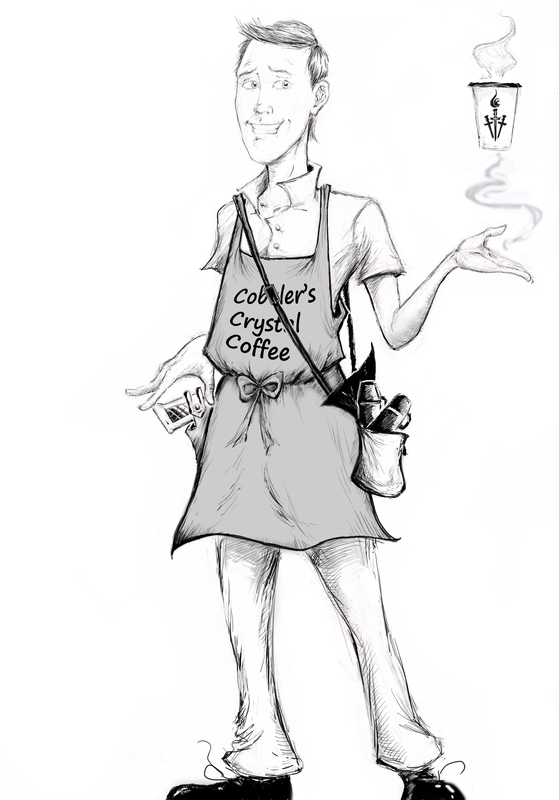 While not a member of the Brotherhood at that time his basic character was already there, a coffee mage (though he didn’t know it) who had stumbled into the Warehouse by accident. From there it was simple to convert him into a full PC when I finally managed to play in a game of Demon Hunters and he quickly turned into one of my all time favourite PCs to play, with the added bonus that it lets me drink copious amounts of coffee and claim that I’m just acting in character. As I might have alluded to after the initial announcement I’ll probably be ordering the new Firefly RPG as soon as it is released. While details are still lacking Geek Native has managed to talk to Monica Valentinelli, a writer and brand manager on the project. While she doesn’t provide much new info it hints at the directions they’re taking with the licence and suggests that as with the existing Cortex Plus systems they’re working to tie the system and setting together as much as possible. The full interview can be found over on Geek Native.